Ford has revealed its all-new 2017 Fiesta at a special event in Cologne. 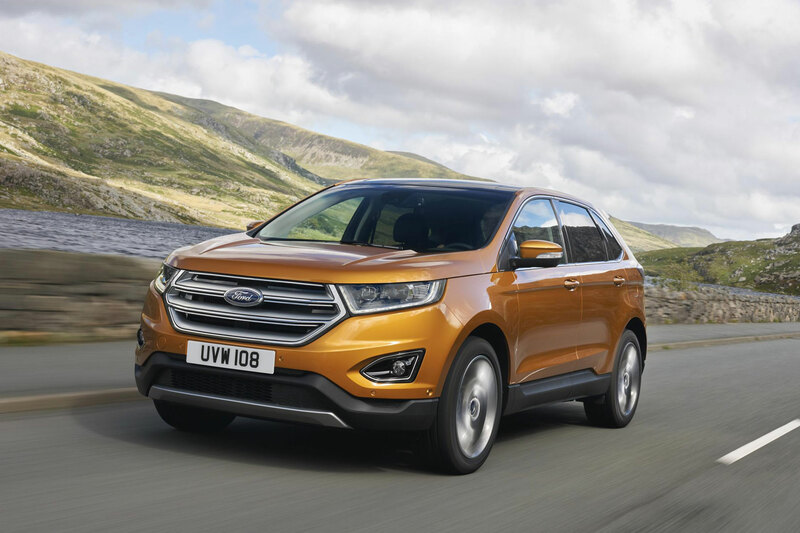 Despite remaining largely unchanged since 2008, the outgoing model had comfortably held its title of Britain’s best-selling car – so it’s important that Ford doesn’t mess up a winning formula. 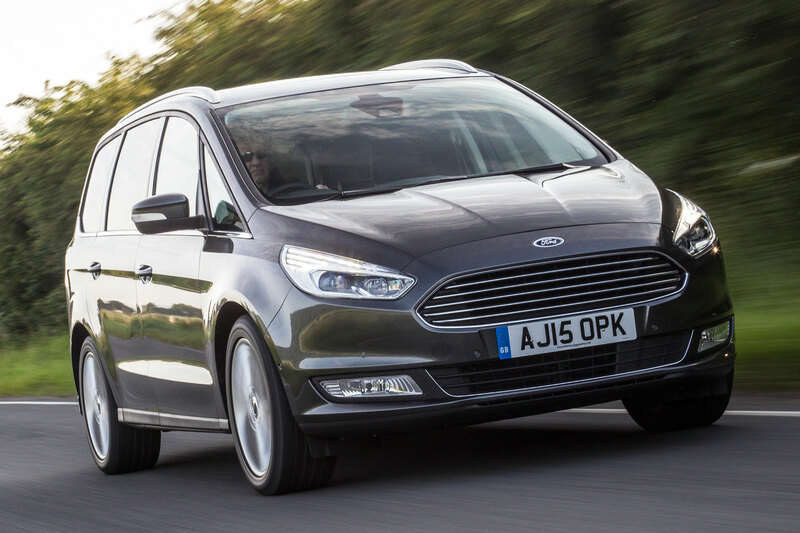 Higher-spec Fiestas account for six in 10 sales. 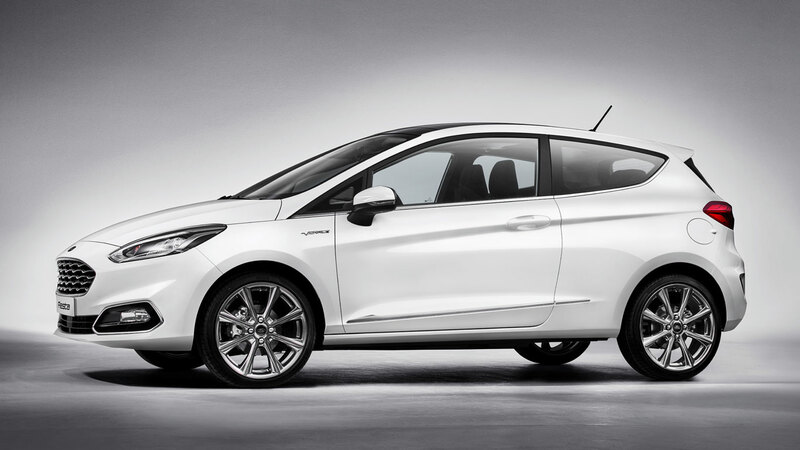 Indeed, the upscale Titanium alone accounts for one in every two Fiesta sales. 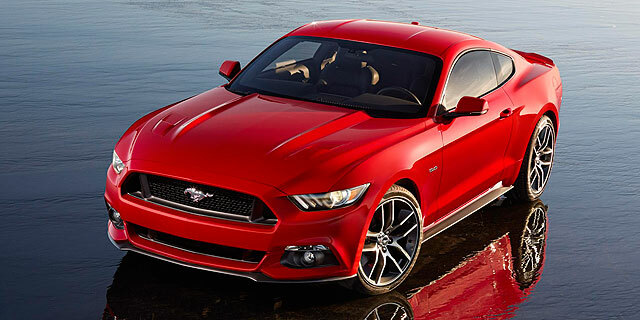 Ford has therefore deliberately pushed the new one upmarket – and up in price. If it’s now too expensive, says the firm, take a look at the all-new, much-improved Ka+. Like the outgoing model, there’ll be the recently introduced ST-Line trim (replacing the old Zetec S), as well as classy Titanium. 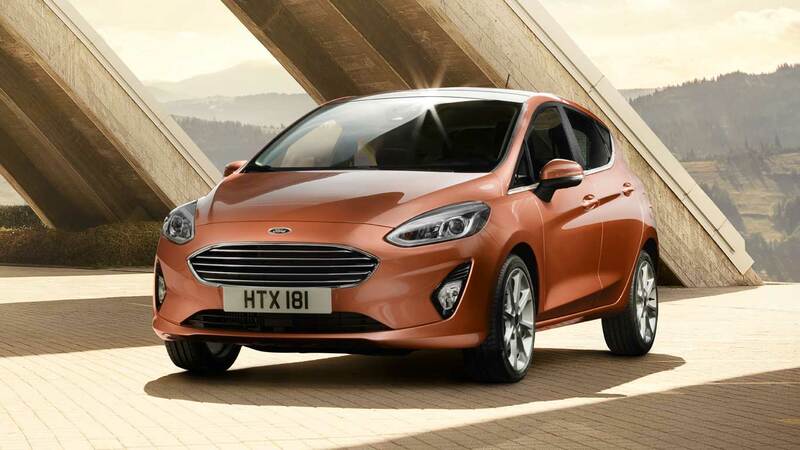 For the first time, the Ford Fiesta will be also available as a premium Vignale model, following in the footsteps of the Mondeo, Kuga, S-Max and Edge. Highlights of the Fiesta Vignale include bling 18-inch alloys, unique exterior detailing (we spy chrome) and quilted leather seats. Remember the European Ford Fusion from 2002? Well it’s coming back… sort of. Ford’s launching a jacked-up crossover version of the Fiesta called the Active. It’ll be the first of a line of Active models being added to the range over the coming years, says the manufacturer. Highlights include increased ground clearance, body cladding and a different coloured roof. Roof bars are fitted as standard, topping off the lifestyle look. 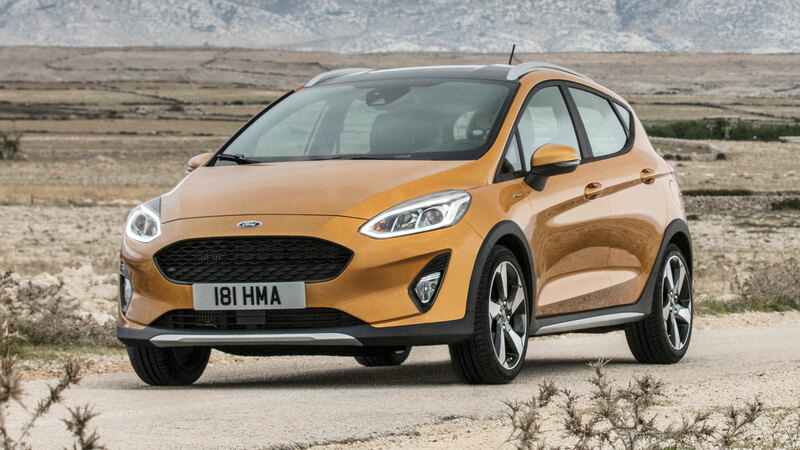 Buyers of the new Ford Fiesta wanting a petrol engine get the choice of the 1.0-litre Ecoboost petrol turbo from the outgoing model, in 100hp, 125hp and 140hp guises. There’s also a cheaper non-turbo three-cylinder 1.1-litre derived from the 1.0-litre Ecoboost. Diesel fans can choose from the 1.5-litre TDCi in 85hp or 120hp guises. In the former, it’s expected to emit just 82g/km, while the latter is expected to emit 89g/km CO2. Although ‘Eco’ buttons are commonplace on automatics, Ford’s adding one to the manual Fiesta. It adjusts engine and throttle settings to help drivers save fuel. There’s also stop/start offered on all engines, plus a clever active grille shutter fitted to the 1.0-litre Ecoboost and 85hp diesel engines. 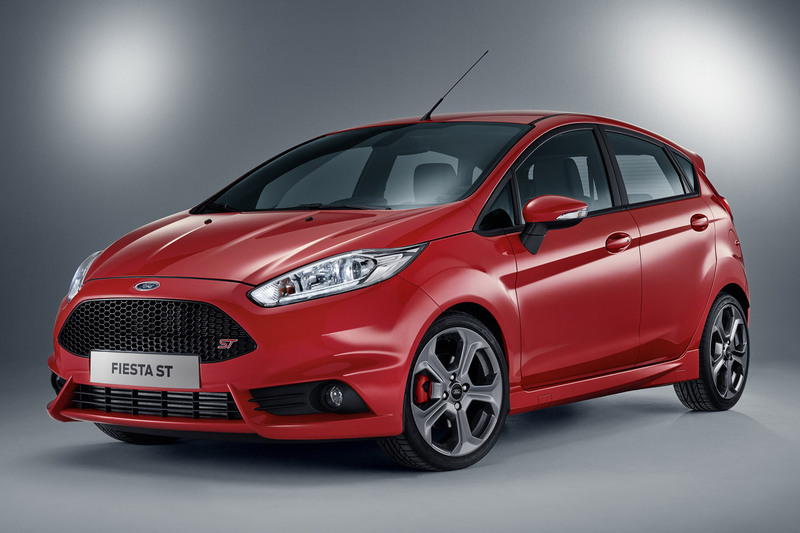 If this all sounds a little sensible, don’t worry – a hot Fiesta ST is set to arrive later in 2017. It’s been spotted testing and is expected to use the same 1.6-litre petrol engine as its predecessor. 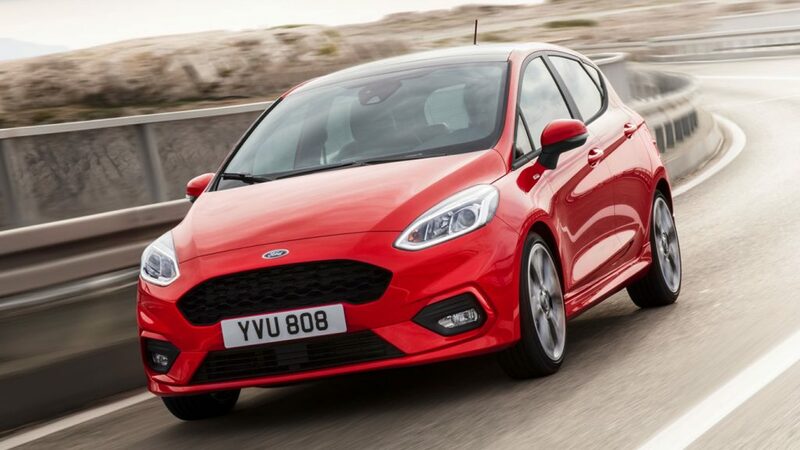 The Ford Fiesta has always been one of the best-handling cars in its class, and Ford says the new model will provide more grip, better performance and improved steering feel – not to mention improved ride quality and refinement. The front track is 30mm wider, while the rear track has been widened by 10mm. The ground clearance is 4mm higher, meaning the suspension can cope with larger 18-inch alloys. A lighter front anti-roll bar improves steering feel, while steering friction is down by 20%. The gearbox also delivers smoother changes, says Ford. No fewer than two cameras, three radars and 12 ultrasonic sensors mean the Fiesta takes another step towards autonomous driving. Technology highlights include an enhanced version of Ford’s pre-collision assist with pedestrian detection. This can apply the brakes if it detects people in the dark who might be about to enter the road. For the first time, the Fiesta will be offered with Ford’s self-parking system, including bay-parking. Usually it relies on the driver operating the pedals, but the car will now be able to apply the brakes if it detects an imminent collision. Tech that’s trickled down from other models in the range also includes automatic high beam and traffic sign recognition. 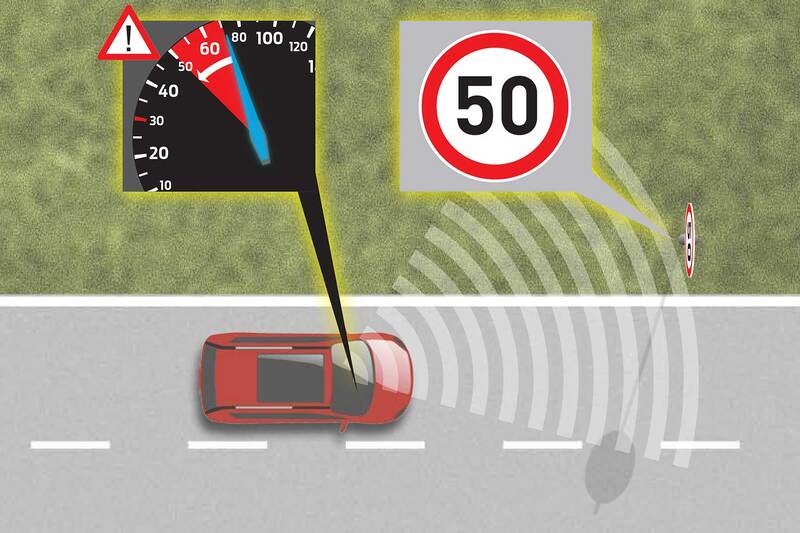 It will also offer cross-traffic alert, notifying the driver of approaching vehicles when reversing out of spaces. 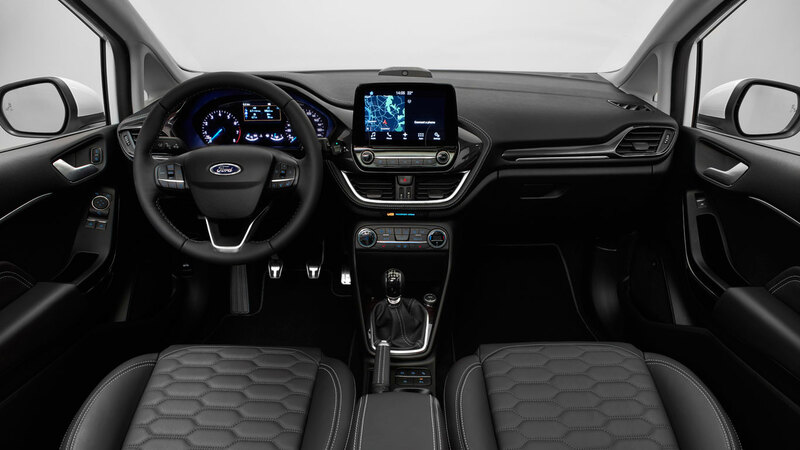 Ford’s latest SYNC 3 infotainment system is being offered on the Fiesta for the first time. 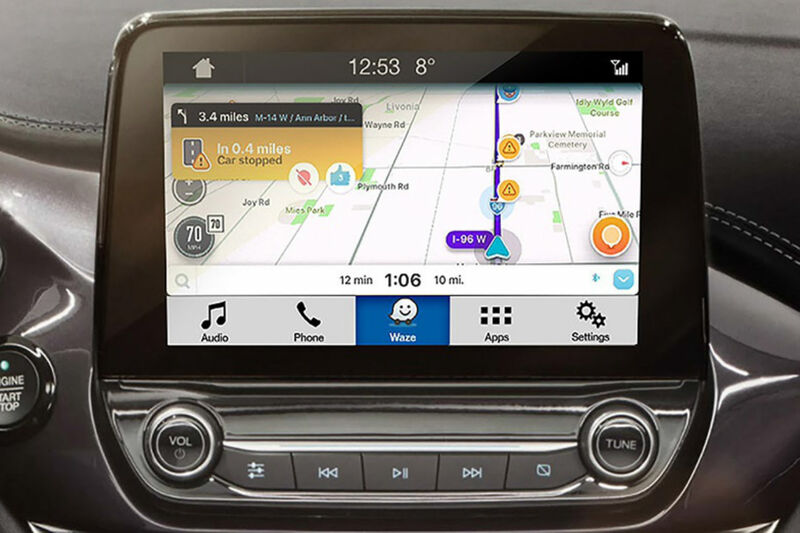 Using an eight-inch tablet-inspired touchscreen, SYNC 3 features DAB radio across the range, along with USB ports and Bluetooth connectivity as standard. A B&O Play sound system uses 10 speakers to provide an ‘elevated audio experience’, says Ford. A CD player is optional, hipsters will be pleased to hear. At last, the Fiesta offers the option of Apple CarPlay and Android Auto, as part of the SYNC 3 system. It will smoothly integrate with apps such as Spotify, so you can access almost every song and album in the world. 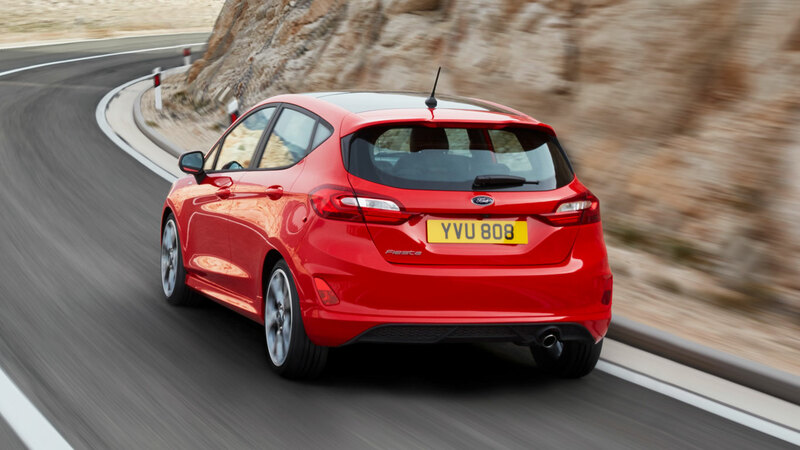 As part of its upmarket move, Ford says the Fiesta now delivers improved quality. 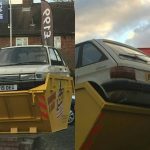 Examples include parking sensors that are flush with the body panels, hidden windscreen washer nozzles and a tighter panel gap between the roof and the boot. Windscreen wipers now clean 13% more screen. What about the Fiesta’s design? 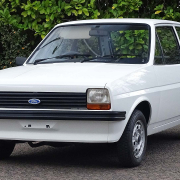 We’ve got this far without discussing the Fiesta’s design. 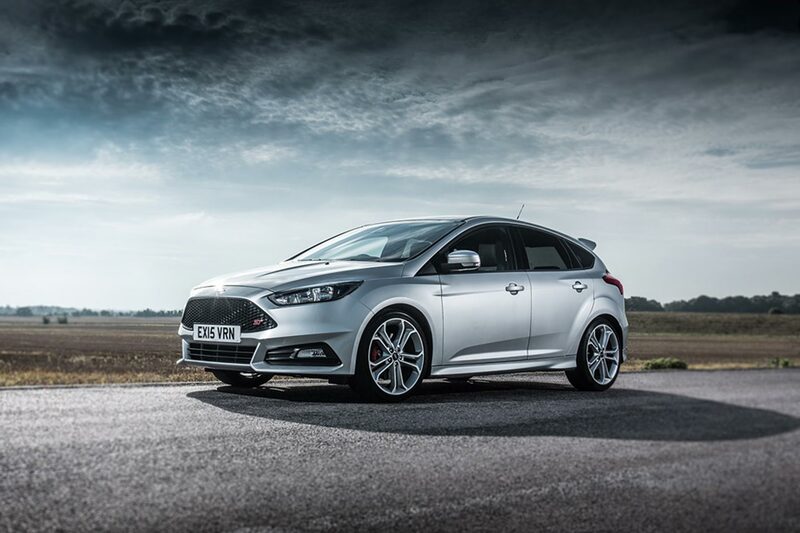 It’s certainly evolutionary in its approach, clearly a Fiesta, with headlights mimicking those of the Focus. It’s 71mm longer than its predecessor, and 12mm wider. The Fiesta has a more upmarket appearance, says Ford. 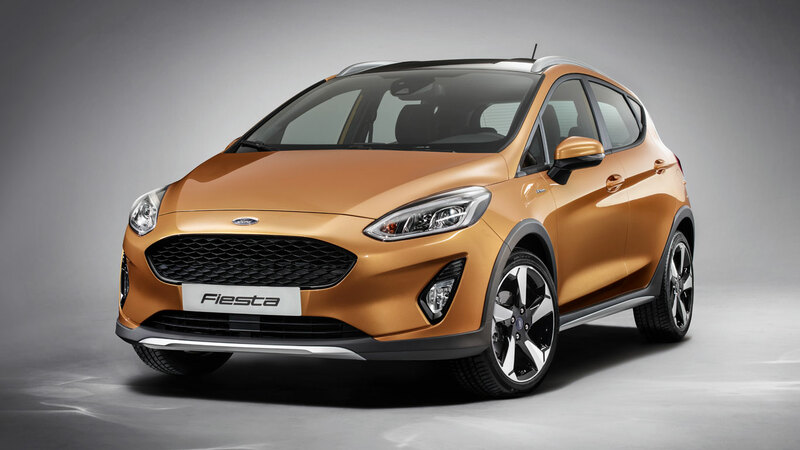 “Our customers’ ongoing overwhelmingly positive response to the dynamic design of today’s Fiesta is a significant factor in why Fiesta is still leading its segment, even after seven years,” said Ford of Europe’s design director, Joel Piaskowski. For the first time ever, the Ford Fiesta is offered with a panoramic glass roof. 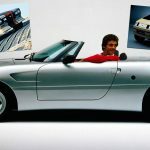 The full-length roof is openable and stretches almost the entire width of the car. The Ford Fiesta will go on sale in the UK in June 2017. Prices are yet to be announced, but expect a small increase over the current £13,545 starting price.